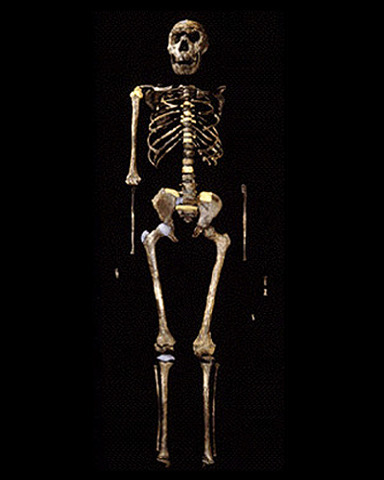 KNM WT 15000 is a nearly complete skeleton excavated from 1.5 Ma sediments at a site near Lake Turkana in 1984. The nickname, "Nariokotome Boy" for KNM WT 15000 reflects the individuals age at the time of death. Dental eruption and epiphyseal fusions suggest that Nariokotome Boy was around 11-12 years old, though models based on human and chimpanzee maturation rates suggest between 7 - 15 years of age. Remarkably, Nariokotome Boy stood at 160 cm (~5'4") tall. 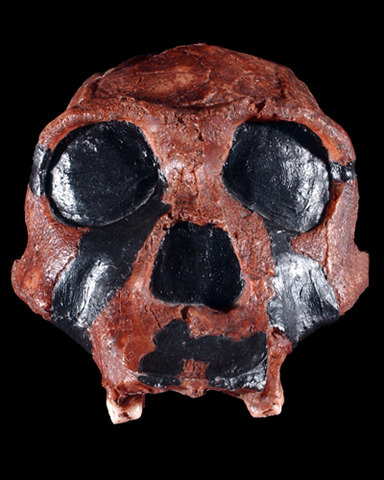 Because of his young age at death, the specimen allows scientists to evaluate the developmental trajectory he and other H. ergaster specimens followed almost 1.5 Ma, as well as other life history parameters. 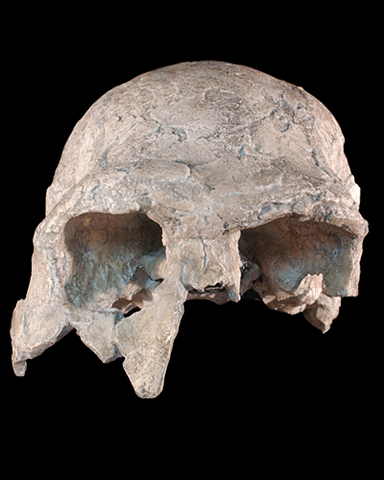 Nariokotome boy remains one of the most complete, and earliest H. erectus fossils ever found. The bone fragments that make up the OH 9 calvaria were found scattered along the surface of a gully at fossil site LLK II, Olduvai1. Tuff matrix attached to one of the fragments helped establish the stratigraphic context of the fossil within Upper Bed II. More information coming soon. KNM-ER 3733 is one of 3 specimens from northern Kenya that represent Homo ergaster’s appearance in Eastern Africa around 1.7-1.6 Ma2. Discovered in Koobi Fora, Kenya, by Bernard Ngeneo in 1975, KNM-ER 3733 dates to approximately 1.75 Ma. 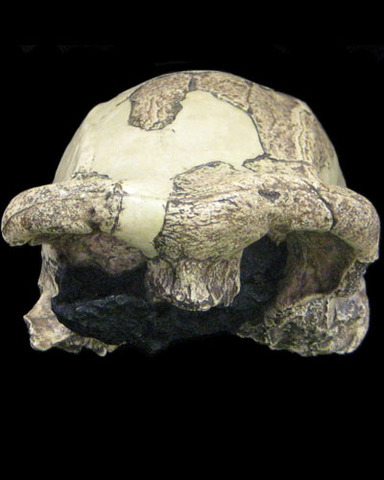 The assignment of KNM-ER 3733 to H. ergaster remains debated, with some scientist arguing that H. ergaster should be subsumed into Homo erectus. 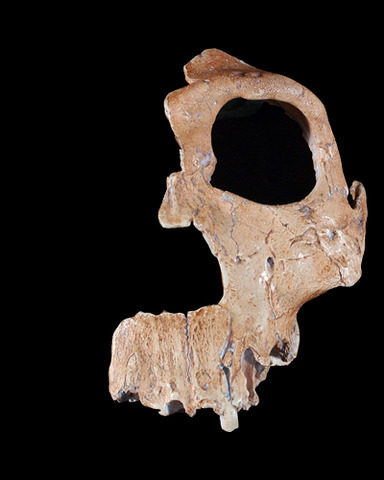 KNM ER 3883 was discovered at Koobi Fora, which is east of Lake Turkana in northern Kenya. The cranium dates between 1.65 and 1.5 million years ago. Alan Walker and Richard Leakey first published on the fossil's discovery in 1978, and noted that it was found in Area 3 of the Ileret fossil beds. KNM ER 3883 is often compared to KNM ER 3773 which is another H. ergaster specimen form the same area. Generally, KNM ER 3883 is described as having more robust features (e.g., brow ridge, face, and mastoid processes) than KNM ER 3773. 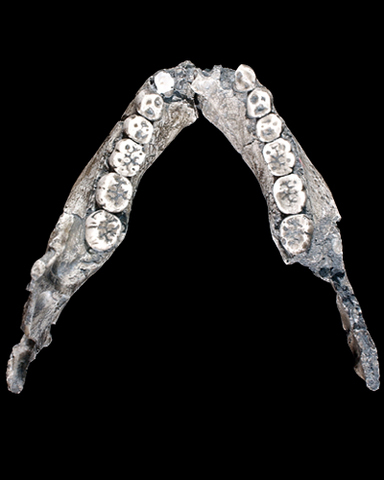 In 1971, a mandible referred to as KNM-ER 992 was found at East Rudolf in Norther Kenya during field work lead by Richard Leakey and G. Isacc. The specimen was originally classified as Homo sp. until 1975, when it was named as the type specimen for Homo ergaster by Groves and Mazak (1975).